Deadline reports that a new DC Joker origin movie is being developed, but it won't be a part of the DC Extended Universe (DCEU) of films like Batman v Superman: Dawn of Justice (2016) and Suicide Squad (2016). Warner Bros and DC are taking a page out of the Star Wars playbook by developing standalone spin-off films with their properties. The first one out of the gate is a film telling the origin of the long-time Batman villain Joker. Todd Philips, the film director, producer, screenwriter and actor best known for directing and co-writing The Hangover trilogy is attached to the property. He's co-writing with Scott Silver who was nominated for a Best Screenplay Academy Award for The Fighter (2010). 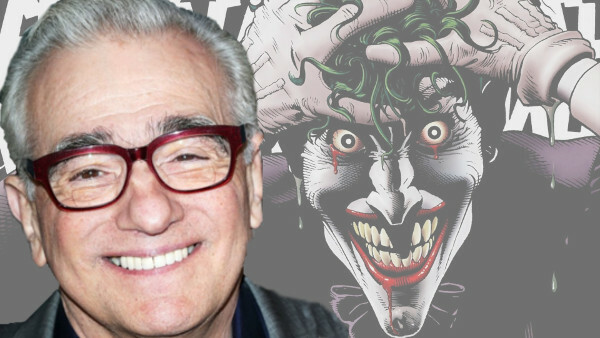 Phillips will direct the movie, and Martin Scorsese will produce it along with Phillips. The Joker has appeared in several DC films starting with Batman (1989). Heath Ledger was posthumously given an Academy Award for his performance in The Dark Knight (2008). Jared Leto is the most recent actor to play the "Clown Prince of Crime" in Suicide Squad. It's expected that the Joker will use a new and younger actor although Leto will be returning in the Suicide Squad sequel and the Harley Quinn spin-off. Putting the film outside of the DCEU allows the studio to use different actors and story lines that don't have to fit into the continuity. Scorsese is giving the film a different feel from the others and is described as "a gritty and grounded hard-boiled crime film set in early-’80s Gotham City" similar to his films like Taxi Driver, Raging Bull and The King Of Comedy. The movie is in the early stages of writing, so there's no word on what the Joker origin will be about. Heath Ledger's Joker tells conflicting stories of his origin whereas Jack Nicholson's Joker more closely aligns with the comic books. The comic book history of the Joker is a tangled one since even he admits he forgets details. Detective Comics #168 (1951) tells the first Joker origin as a lab worker and criminal named "The Red Hood" who leaps into a vat of chemicals. Batman: The Killing Joke (1988) expands on on the Joker's 1951 origin story, showing him as an engineer and failed comedian who agrees to help some criminals to support his pregnant wife. After finding out his wife died in a household accident the crooks strong-arm him into helping them only to leap into a chemical vat to escape Batman. The chemicals dye his lips red, bleach his skin and turn his hair green. If the movie is able to capture the tragic backstory and criminal intrigue of The Killing Joke it should be excellent. There's no word on when the movie will debut but with DC's movie release schedule booked till 2020, there may be some juggling of the current properties to move it up sooner. How do you feel about the upcoming Joker origin movie? What's the point of an origin story that's out of continuity? It's just a cash grab.